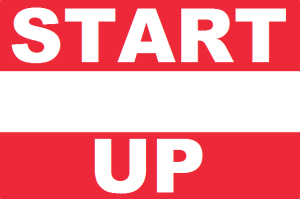 The Austrian Federal Government recently passed a comprehensive startup program. It covers a period of three years and involves a monetary volume of about €185 million. The founding years will be facilitated. The startup is relieved of the burden of having to pay auxiliary wage costs for the first three employees of innovative startups during a period of three years. Seed financing of Austria Wirtschaftsservice (aws) will be increased by €20 million in order to strengthen knowledge-oriented and technology-oriented startups in building up their companies. New funding sources will be made available to the aws Business Angel Fund. Together with funds provided by private investors and the EU, an additional €20 million will be put at the disposal of startups. New risk capital premium for investors: this measure is designed to promote investors acquiring equity stakes in innovative startups. Accumulated investments of up to €250,000 per year are supported, in which case a maximum of 20% of the investment amount is reimbursed. New legal entity i.e. the “Mittelstandsfinanzierungsgesellschaft (MiFiG)“ (financing company for SMEs): this measure aims to stimulate investors into providing risk capital for small and medium-sized companies. Tax exemptions will apply for up to €15,000 in dividends for investors in a MiFiG. Digital one-stop-shop for founders: The founding process will become quicker and less expensive. The company founders can enter the required data online via the Unternehmensserviceportal (USP – Corporate Service Portal). The linking of public authorities and registers will enable them to avoid a lot of official red tape. Founding fellowships for academic spin-offs: along the lines of the Swiss Federal Institute of Technology in Zurich (ETH), scientists and students with innovative ideas should be supported in their efforts to establish their own companies. The fellowship can ensure the financing of salary costs and access to the academic infrastructure. The fellowships will be granted within the context of a competition via the knowledge transfer centers. This measure is funded to the amount of €5 million per year. Some 50 founders will be supported in teams up to the year 2018. New startup visa within the framework of the Red-White-Red Card: the existing rules for self-employed key workers will be extended to startups. Accordingly, the applicant is given a residence and work permit for self-employed work in Austria for a period of one year, with the option of extending it for an additional year. A further extension will be linked to a specified annual revenue or funding and creation of jobs. 24 hour quick check for funding applications requests of the Austrian Research Promotion Agency FFG and aws. My humble opinion: I think this is a great initiative which will have a positive impact on the Austrian startup ecosystem. Other European countries should take a close look at this startup program and its future achievements. In general I think that governmental support (for e.g. in the form of bureaucratic and legal facilitation) has the potential to increase the amount of startup success stories. And as we all know: Innovative startups and fast-growing tech companies create jobs!